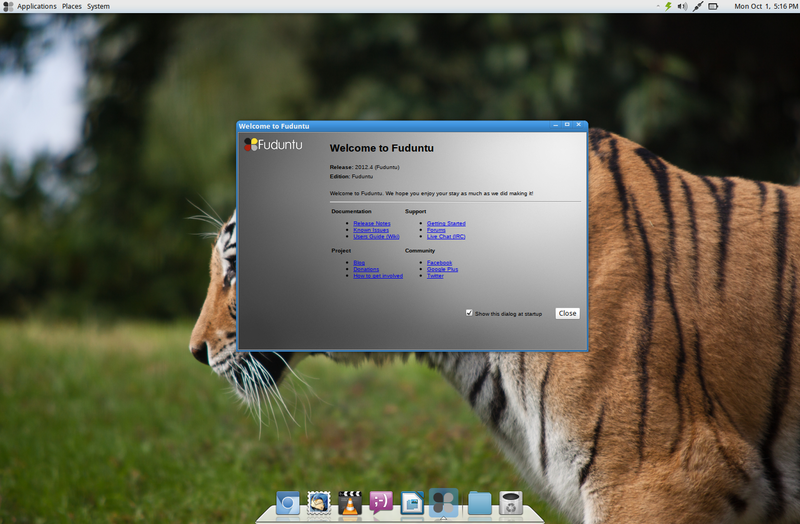 Fuduntu, a Linux distribution forked from Fedora, has reached version 2012.4. This release brings a new default theme and wallpaper, new default packages and many other improvements. a new welcome screen "Elmer"
Besides the changes above, it's also worth mentioning that starting with version 2012.4, Fuduntu is now Mono-free. Further more, a memory bug has been fixed and now Fuduntu can be installed on systems with only 386MB of RAM for 32bit and 512MB RAM for 64bit. 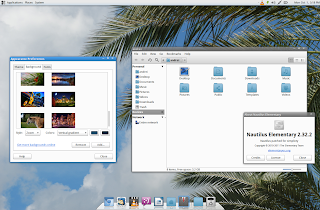 For those not familiar with Fuduntu, this is a Linux distribution that was initially based on Fedora, that uses GNOME 2 by default, which provides rolling updates for non-GNOME2 packages, so you always have the latest version for various packages like Firefox or Chromium, VLC, LibreOffice and so on. It uses a GNOME panel on the top, Avant Window Navigator as the taskbar and comes with many under-the-hood optimizations intended to make the system very fast and to increase battery life. If you're wondering about the name, "Fuduntu" is a fusion of the names "Fedora" and "Ubuntu". The name is intended to be "funny, while implying that the distribution fits in-between Fedora and Ubuntu. The fun uses of the name mean that it is successful, so go ahead, have fun with it" says the Fuduntu wiki.